When you’ve been traveling for as long as we have you think you’ve seen it all: Mountains, valleys, beaches, escarpments, small towns and cities all now just come in varying shades. The jaded, or perhaps just the well-traveled, perspective. I remember the first time my seen it all facade was shattered. We drove into southern Utah via Highway 12 I think it was on our US road trip. I wasn’t expecting much because Utah was only known to me as the place that once held the Winter Olympics and was home to a lot of devout Mormons. Each step was a journey and it was exquisite. Utah was God’s art studio, the place where the creator experimented with textures, colours, carvings and sculptures. 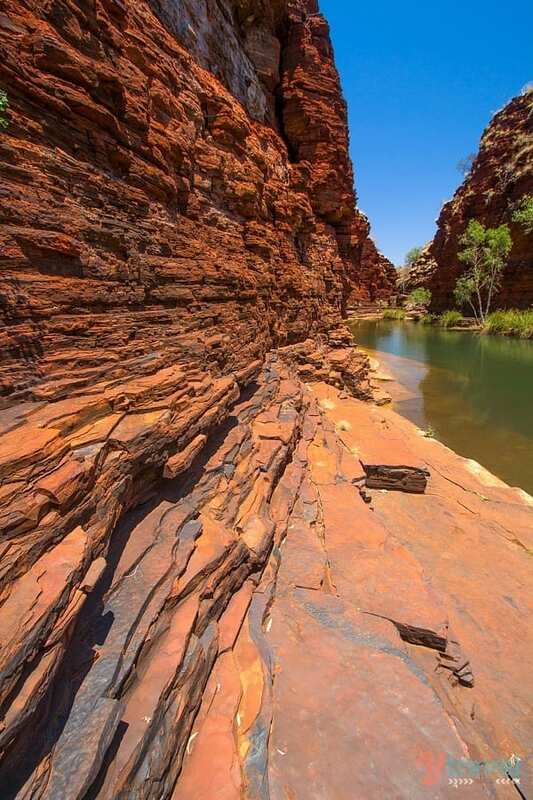 Deep canyons, lunar landscapes, gorges, high mountains, carving rivers and a kaleidoscope of vibrant colours. 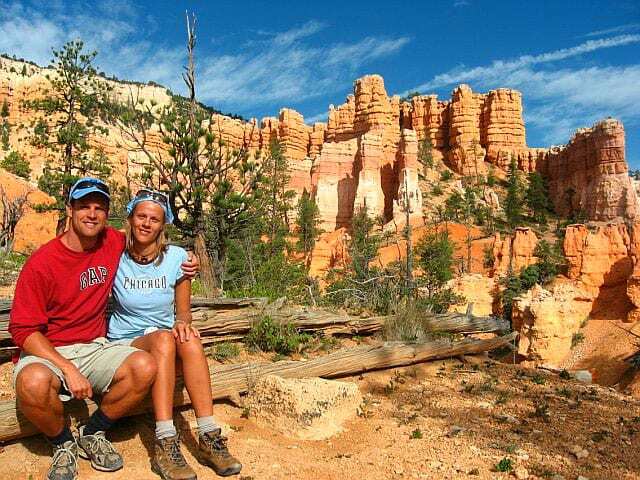 We lost ourselves in the bright orange fairy kingdom of Bryce Canyon and towering red cliff faces and green valleys of Zion National Park. I was amazed that Utah was rarely spoken about when promoting the US as a destination. It’s currently my favourite state for natural beauty and surprises. 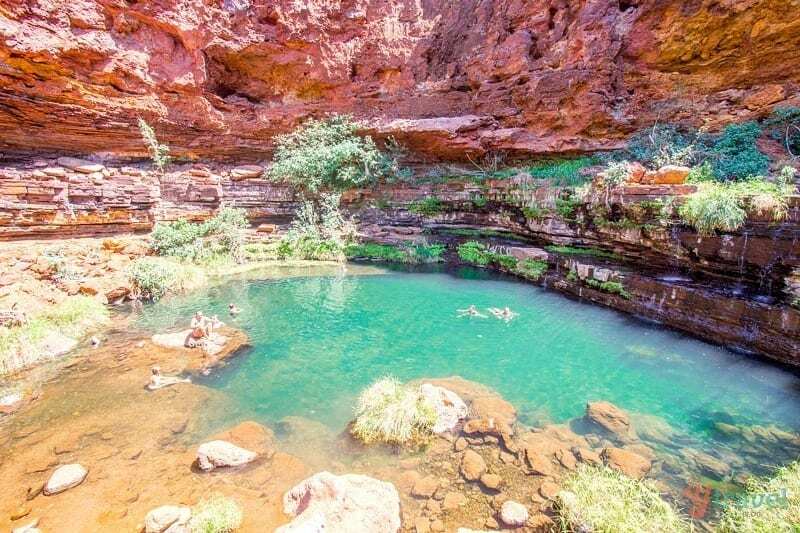 When we started our road trip last year, I was taken aback by the number of people who said Karijini National Park was their favourite place in Australia. 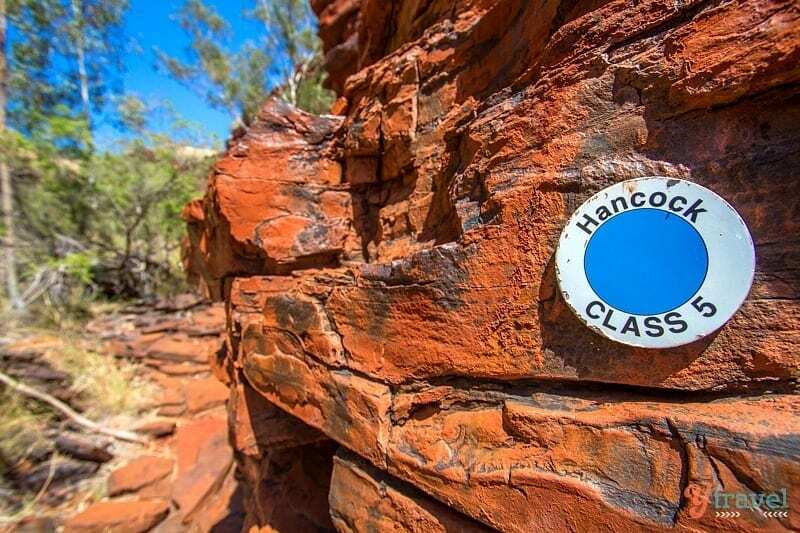 I had to Google to see where this place was that was preferred over much-lauded favourites such as The Great Barrier Reef, Uluru, Kakadu, and the Great Ocean Road. 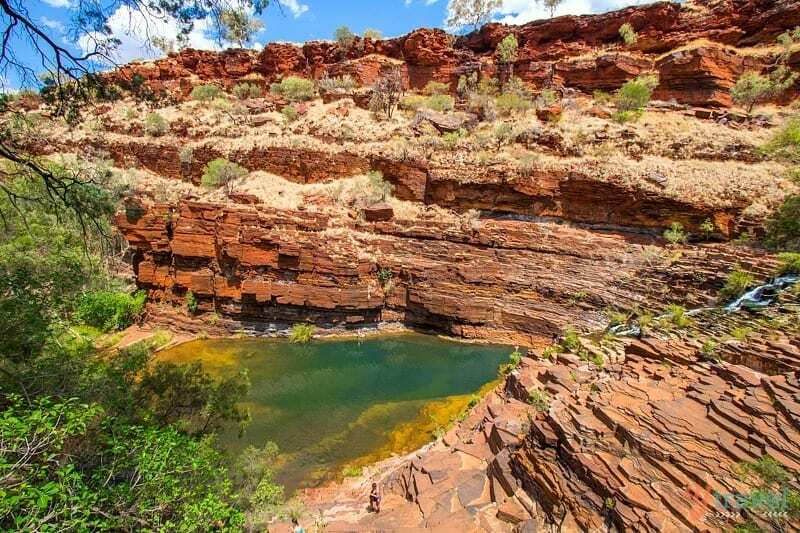 To save you from Googling, Karijini is in Western Australia. 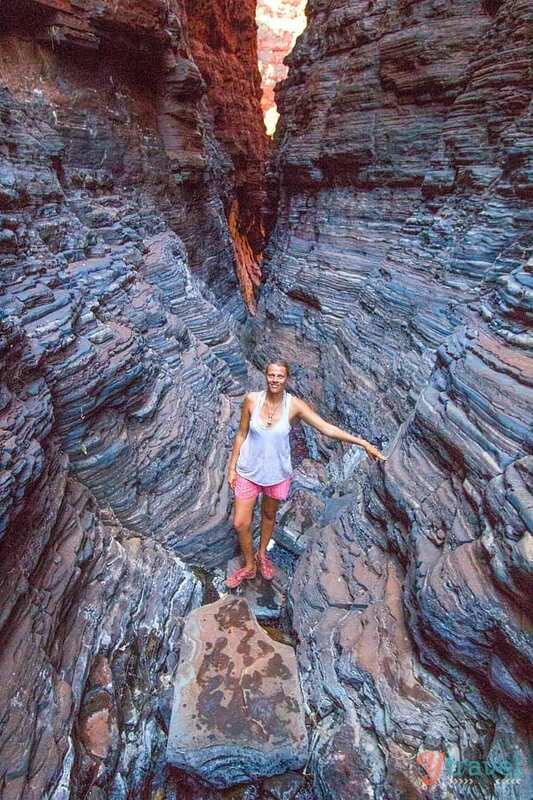 Karijini became the thing that most excited me about this trip. Because it was the unknown. The surprise. The thing that would blow apart the perception that I’d already seen it all. I couldn’t even begin to imagine what treasures lay in store for us. I used to think America was so amazing because it was a country of such diverse landscapes. This trip is revealing to me that Australia is on equal footing. 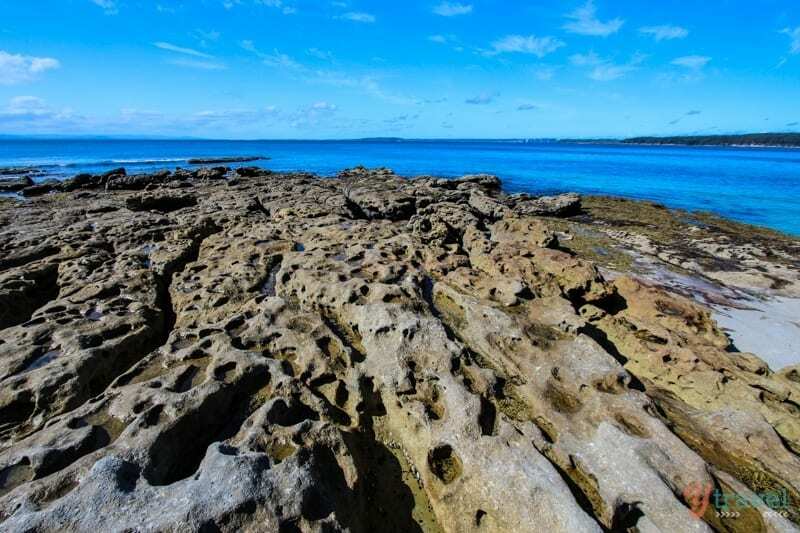 It’s not just all about beaches – we have it all. 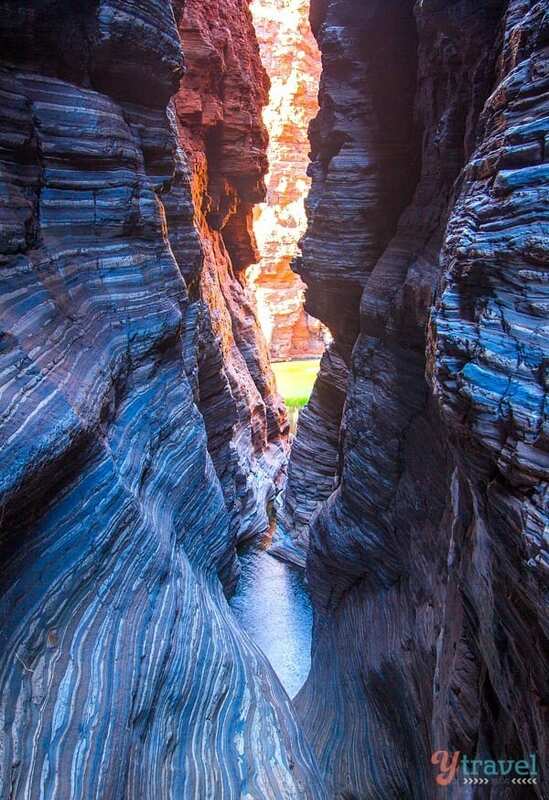 And Karijini is testament to how deep this ancient mysticism and beauty of our land runs. We shut off from the outside world, intending to stay three nights. We stayed for five, exploring every gorge and waterfall and swimming hole. 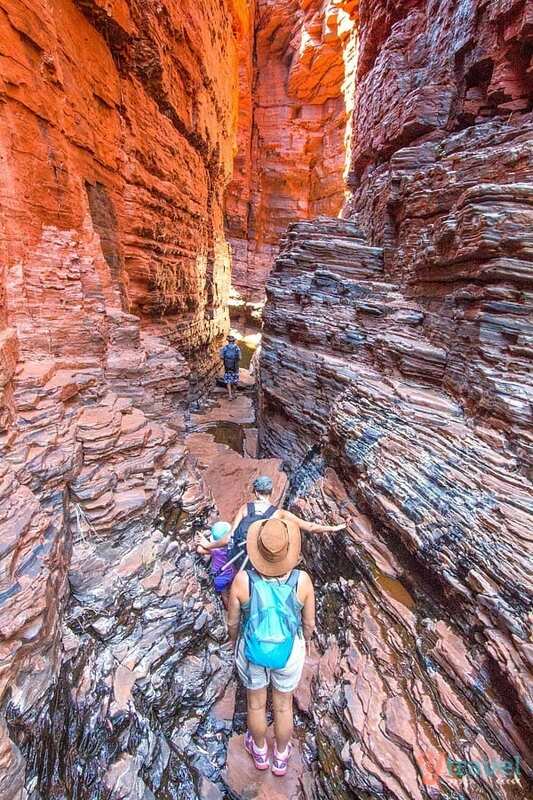 Tackling the easy and hard walks, scrambling over rocks, inching ourselves over rock ledges, and spider walking between gorge walls. We shared it with friends, We made beautiful memories. It surprised and delighted me. I am not yet ready to hang up my travel boots because I have not seen it all and there are far too many corners of the globe with surprises in store for us. 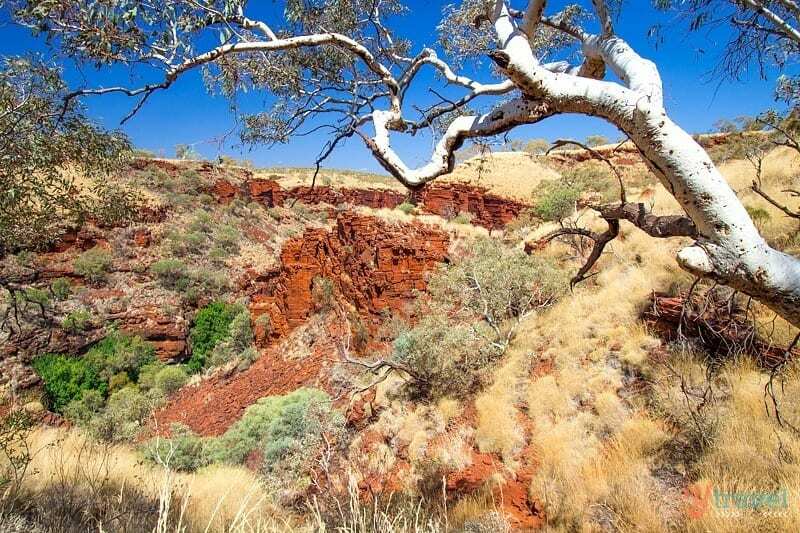 We’ve only seen a smidgen of Western Australia and we are already smitten. 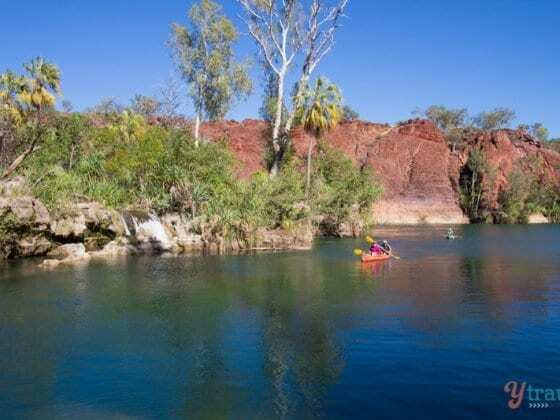 The Kimberley region melts my heart, Broome entraps my soul, and now Karijini re-energizes my spirit. Only a few footsteps in and I’m won over. 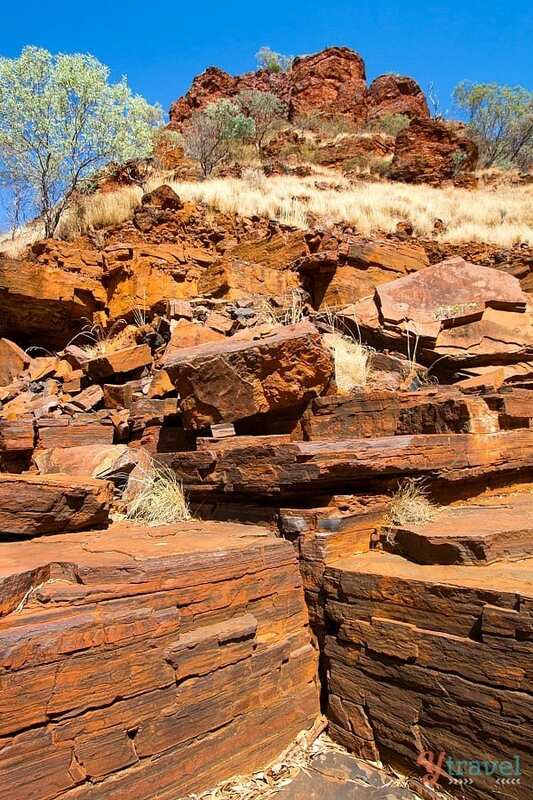 You have got to see this incredible state! 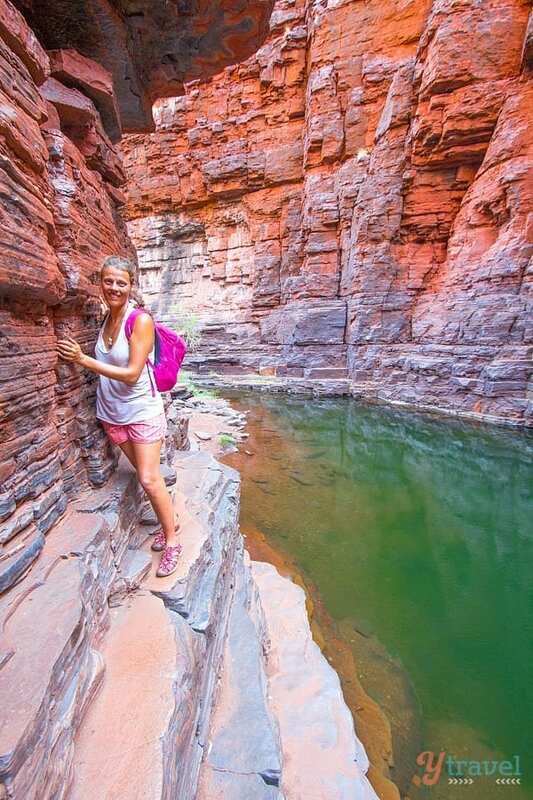 We’re going to share several posts on Karijini because the walks are amazing, we have too many photos that you will hopefully love and we can’t fit it into one post. And it’s awesome for kids! Our girls loved it and managed many of the “challenging” walks. For now below is a sneak peak of some of our favourite moments. 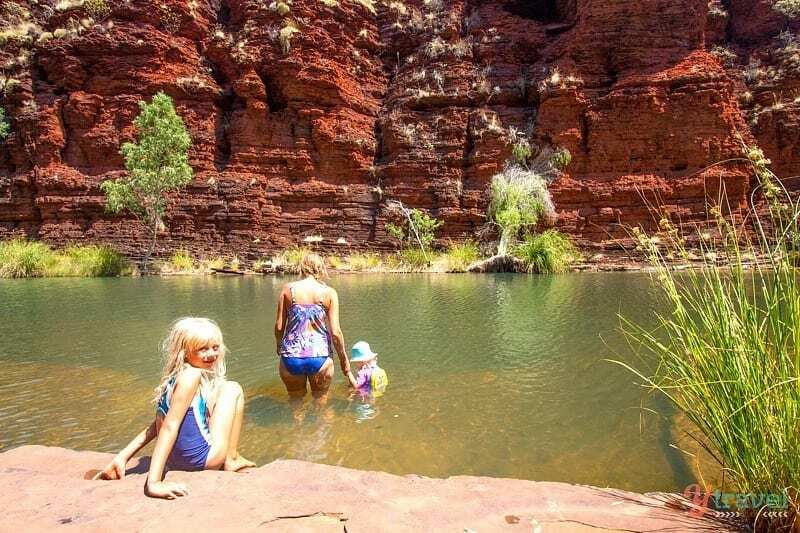 Stay tuned as we share more posts on Karijini with you in the future – the best walks, how to enjoy it with your family and how to enjoy your camping experience. 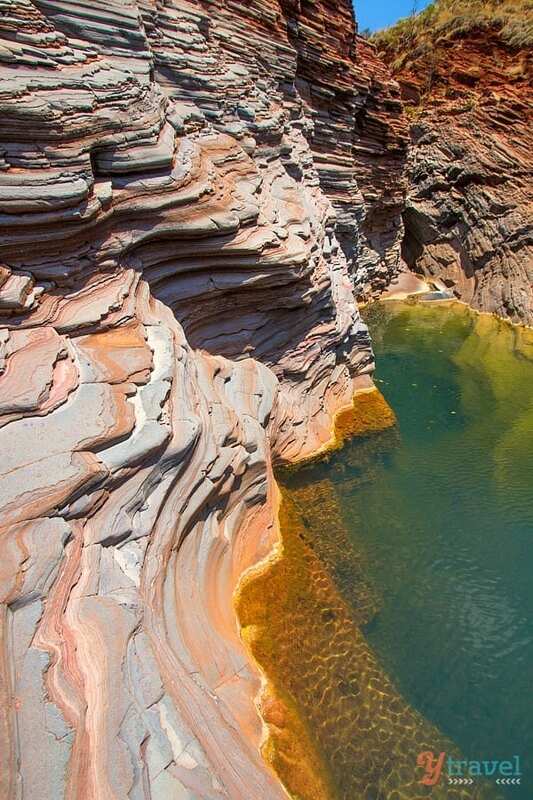 Have you been to Karijini National Park? Would you love to go now? 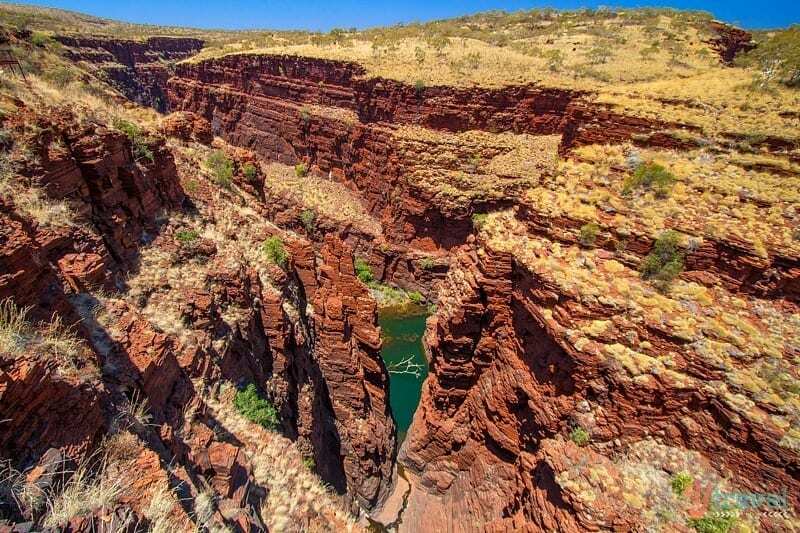 One question: are these gorges accessible by 2wd car or 4wd car is preferable? 2wd is fine. We have an all-wheel-drive Ford Territory and had no problems. A few of the roads have some corrugations but no soft sandy bits. You’re all good! Wow absolutely beautiful! Love your pictures! I’m glad you guys enjoyed it so much; it truly is an amazing place. We found the walks were challenging, but not as hard as we expected. How good is the spider walk?! Totally Aaron. The walks came with a great incentive though of swimming in the beautiful pools. Yeah spider walk was a hit. 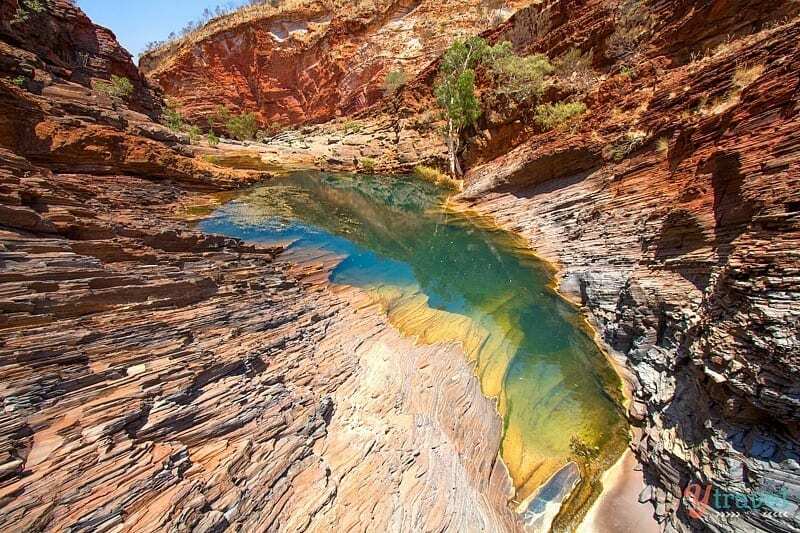 I’ve never been in Karijini National Park but I would love to go someday! 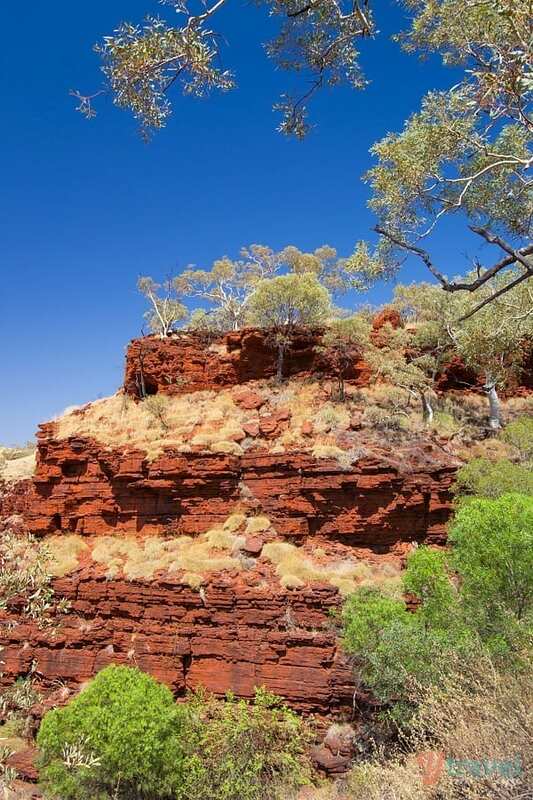 The list of “things-to-do-and-see” the next time I visit Australia is getting so long now! 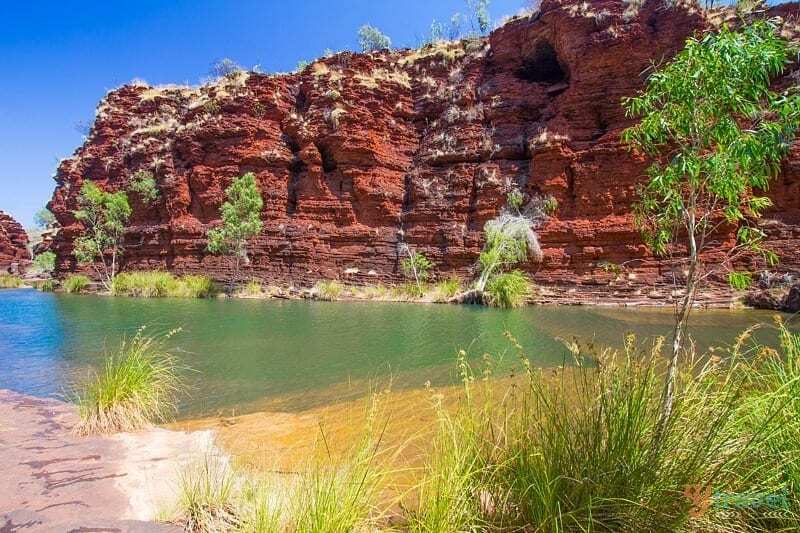 I visited Karijini for the first time earlier this year and completely agreed with you – it blew me away! 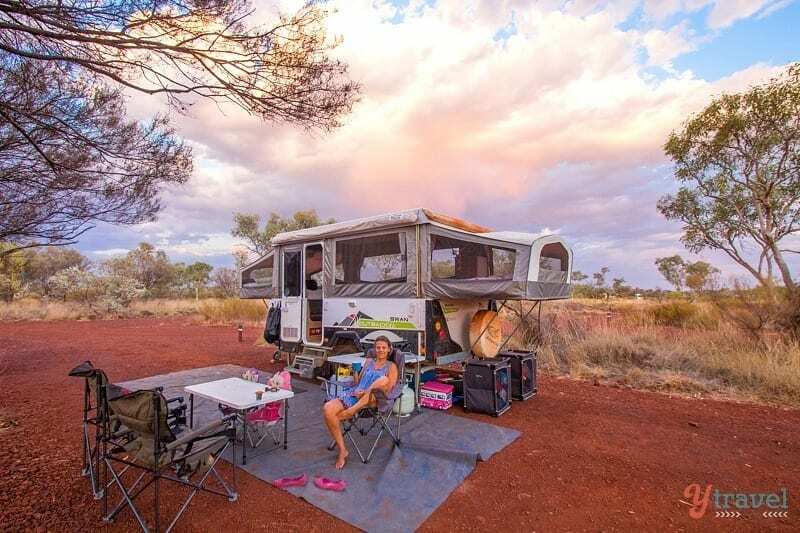 It took me 40 years to get to WA which, as an Australian, is very poor form but I’ll certainly be returning. 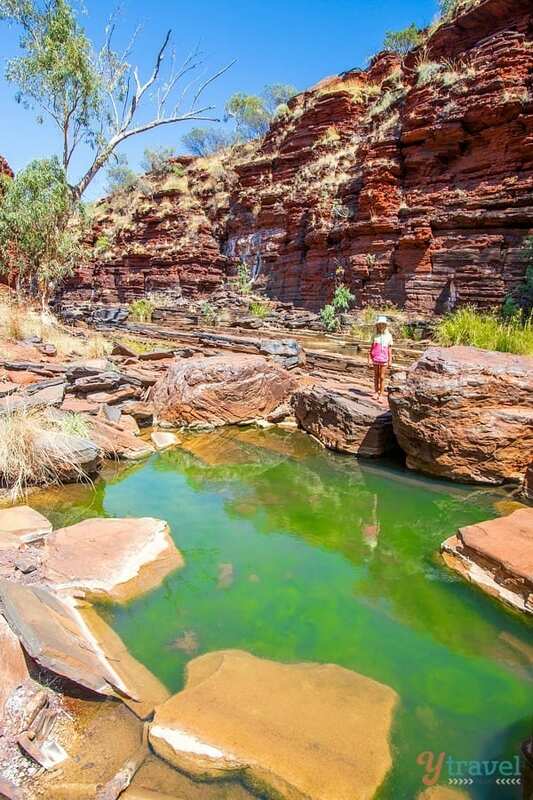 As you point out, it’s stunning and diverse and Karijini really is a highlight, it’s a very special place. I look forward to reminiscing about my own trip there with your upcoming posts. And yes we’ll be revisiting again too, no doubt. Amazing photos!! So beautiful . I’m from Utah, so I love to see people appreciating what it has to offer. 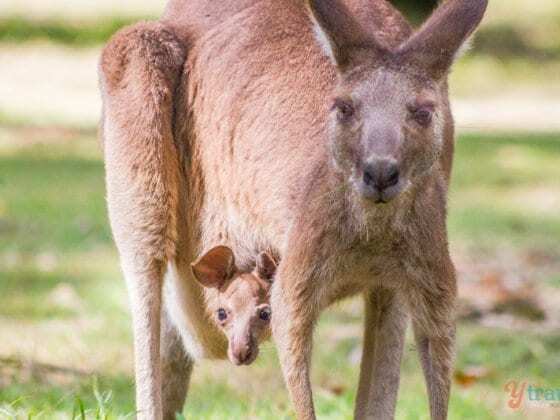 🙂 I’ve been hoping to visit Australia for years; hoping to make it there soon! These pictures are making me more antsy to just get there already. Gorgeous. We love your backyard too Sarah! 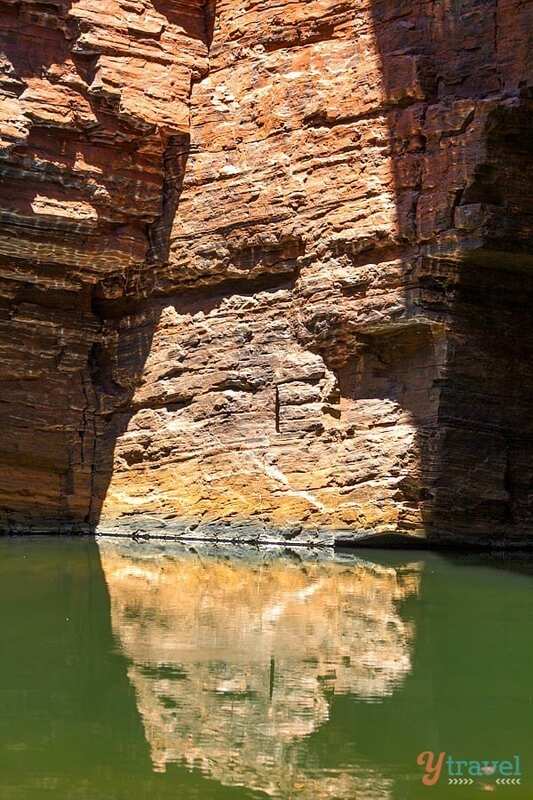 We visited the Karijini this summer. I just want to pack up the car and go and visit. But I also want to hold on to it and savour the anticipation! Great post, I love those moments of the unexpected while exploring! Beth. Did you take the kids on any of the Class 5 walks? We are about to go with bushwalking daughter 8yrs. Yes we did. 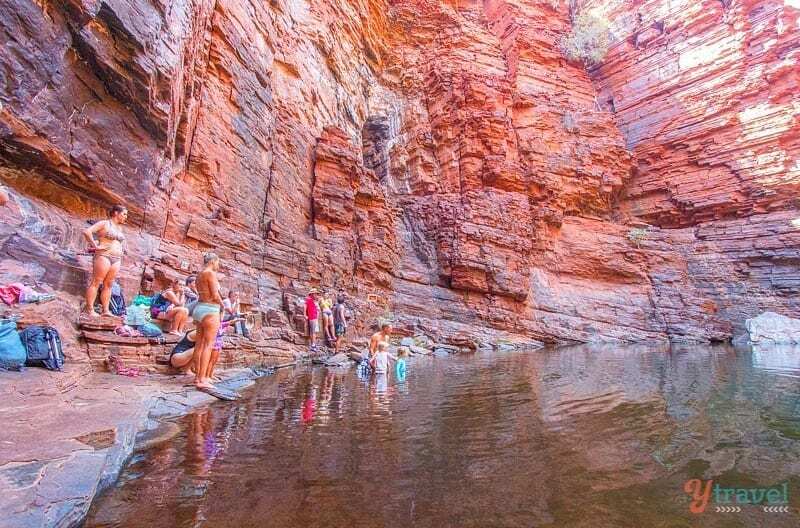 We will be writing a post soon on Karijini with Kids. We took them to all except joffre (none of us did that) and Knox. Craig and I did Knox and I think the girls would have handled it. It’s just steep going down at the beginning (and up on the way back) Our eldest, who’s seven would have been able to do it. You just have to watch them carefully. 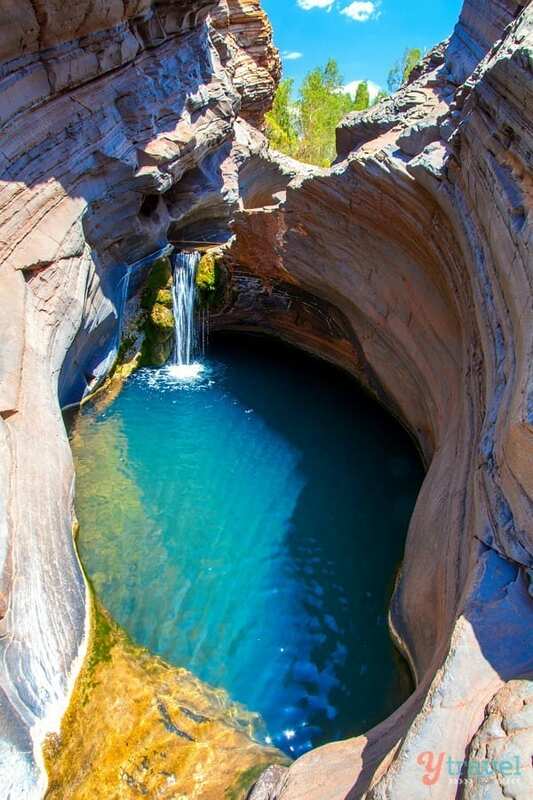 Karijini is a place I have wanted to go to for a long time. 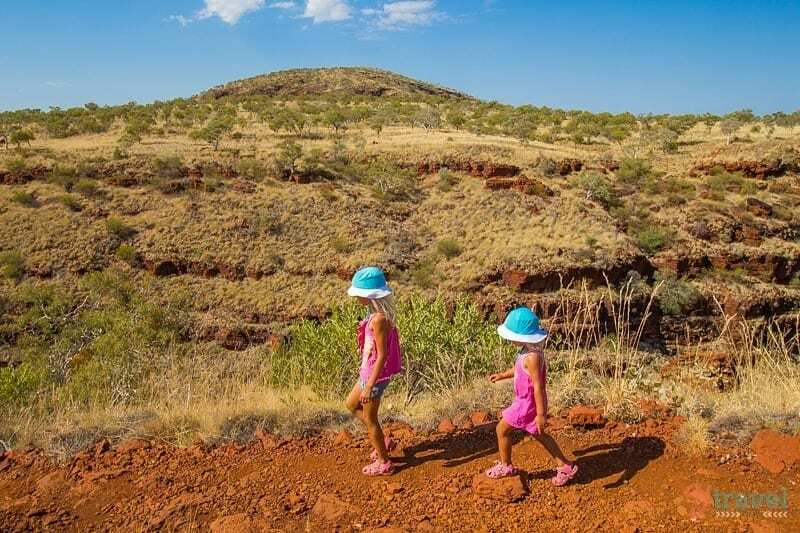 I have small children, what age to you think is appropriate for kids to explore Karijini? Any age I think! 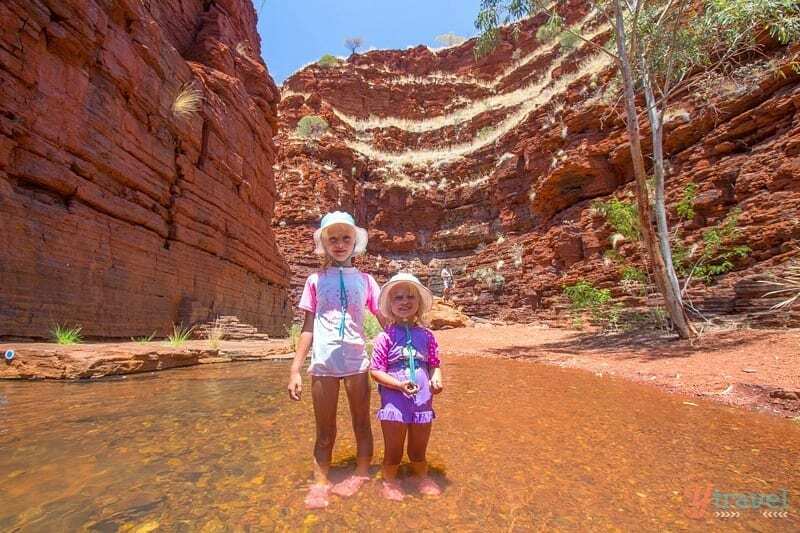 We do have plans to write a post on Karijini with kids. Our youngest is three and she had a ball exploring. I think if yours are younger you can carry them in a hiking carrier and they’ll be fine. There are two walks we did not take them on – Knox and Joffre (we didn’t do this one). But, in hindsight I think they could have handled Knox, but with tight supervision. Great family adventure! We are living in Switzerland so we are used to hike and we are quite fit. 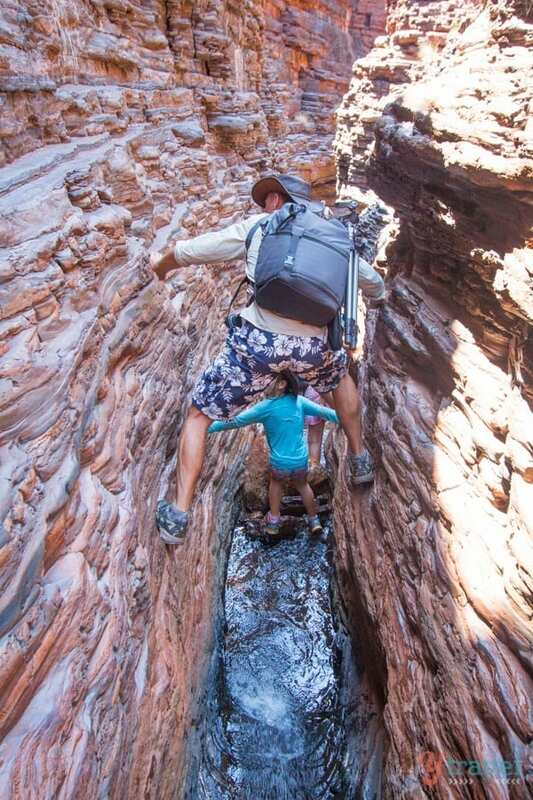 But I just wonder if it to risky to do the Hamskley gorge with a 4 years old toddler sitting on a back pack? No I think you’ll be fine. It’s a pretty easy hike. Just take it slow and stick to the path. 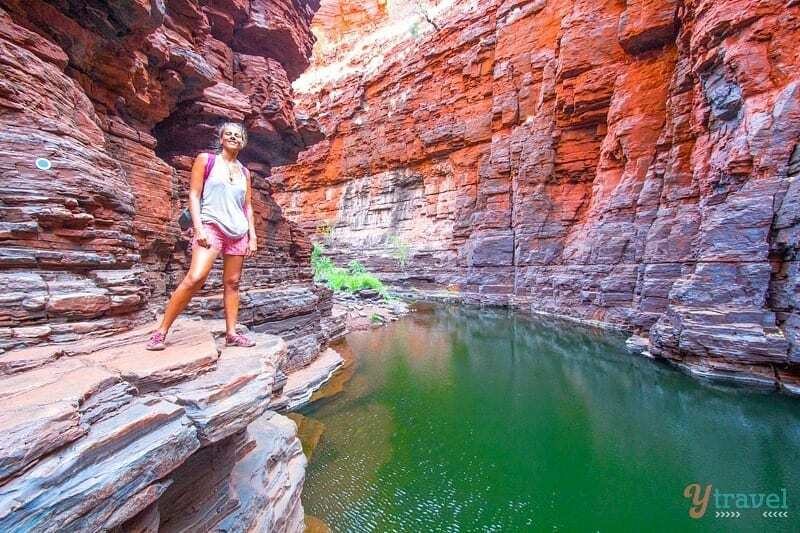 Hi – just researching for my WA trip… Karijini looks amazing – such a great post!